Ah Quinoa. 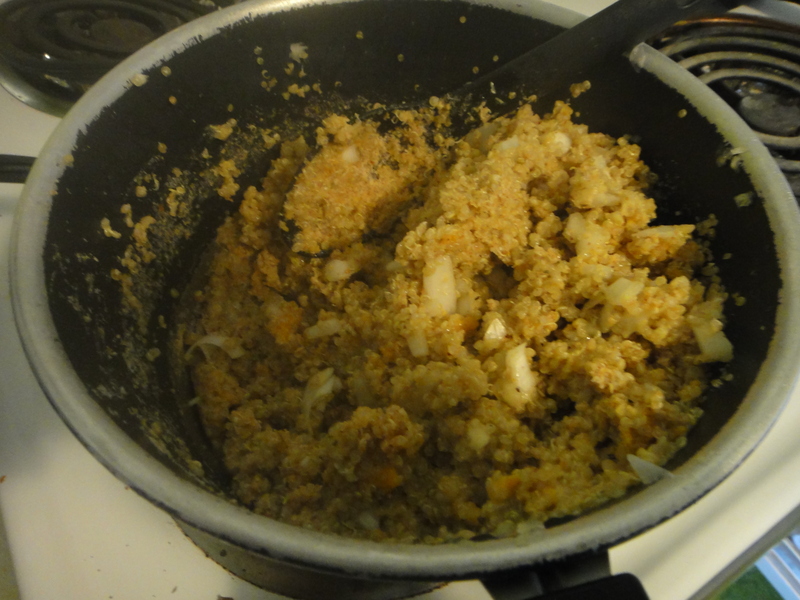 The very first time I tried Quinoa was when we visited Peru in the summer. 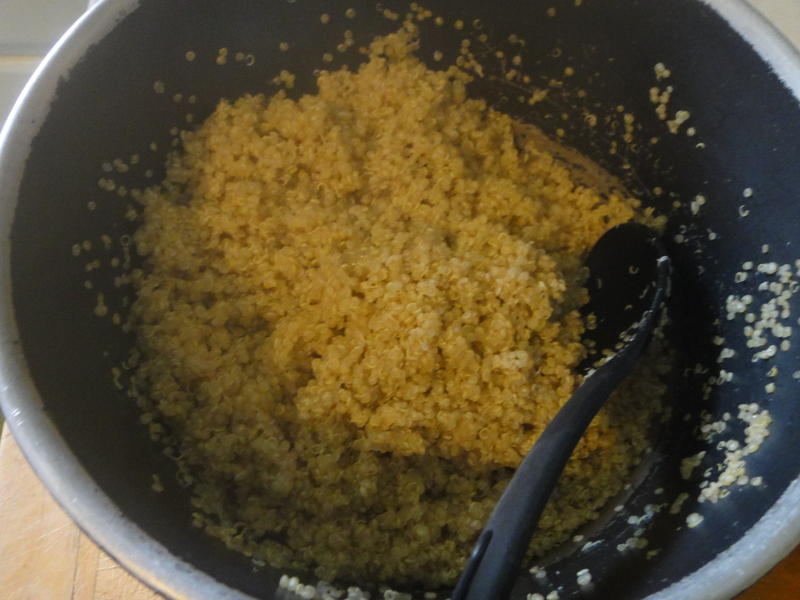 In Peru, they ate quinoa in soups, salads and as puffed cereals. Justin was quite in love with the puffed quinoa in Peru and we kept meaning to pick some up before we left, but completely forgot before we hopped on a plane to come home. I’ve also heard that Quinoa is the world’s best super food. Incredibly high in protein, this little grain packs a powerful tasty punch. Love it! We found some organic quinoa at superstore. Next time, I think I’m going to buy a bigger bag. The first step is to cook up this little grain according to the instructions. 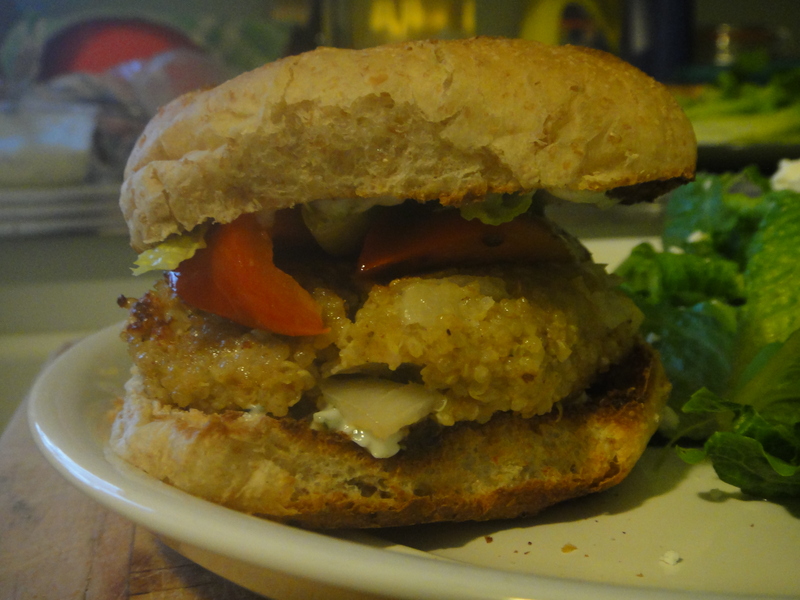 Then to add all of the tasty ingredients to make the burgers. 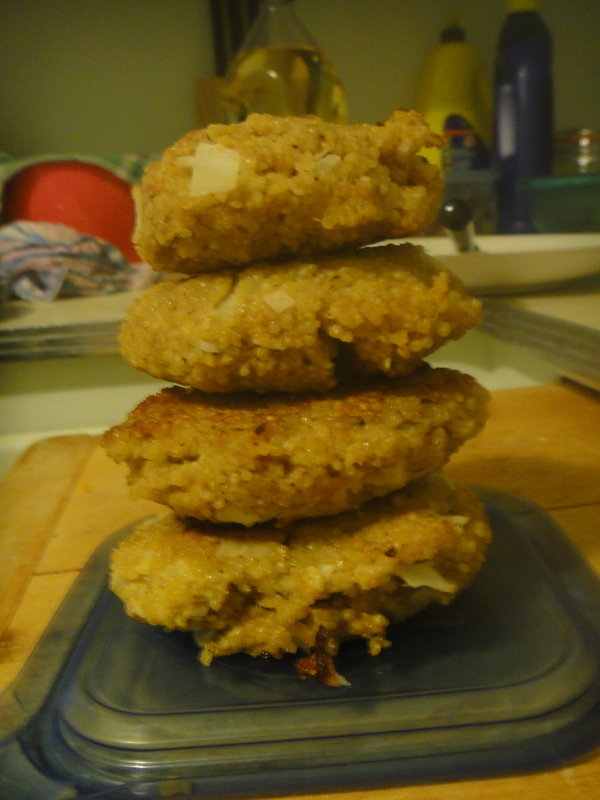 Shape into patties (make sure to squish them really hard so that they stick. You don’t want them falling apart!). 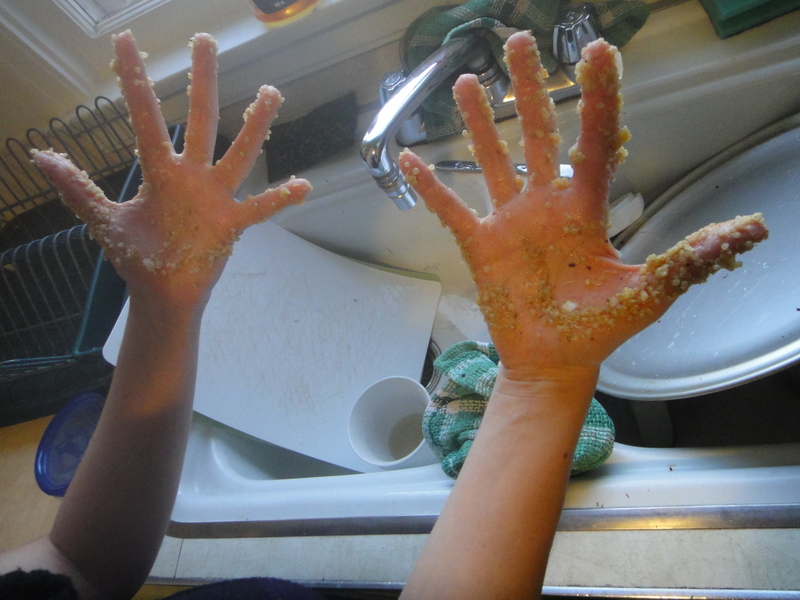 This will get your hands really dirty. Don’t worry! It’s worth it! 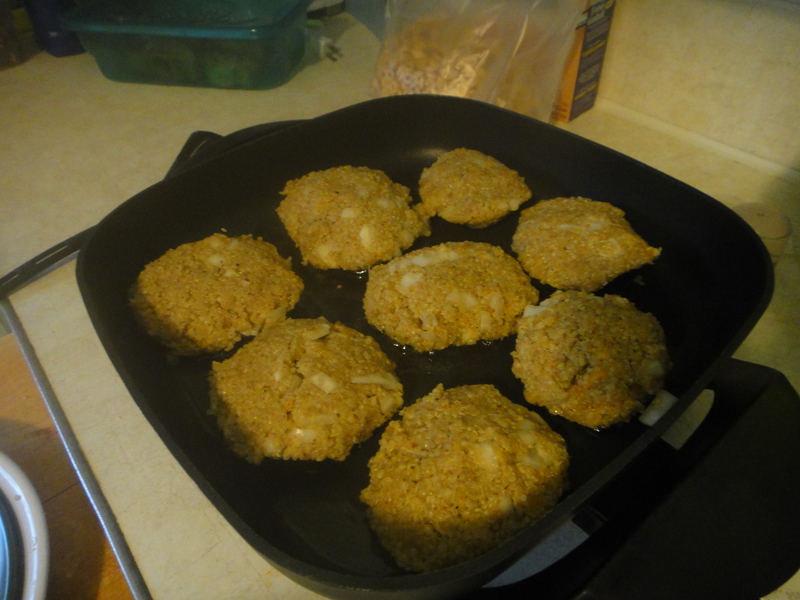 I cooked them in my awesome electric skillet. It made them nice an crispy! 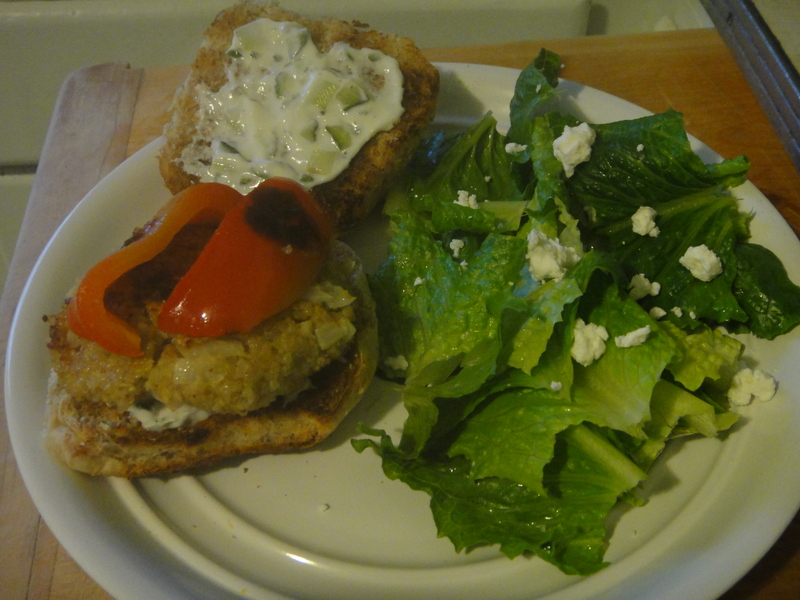 I topped them with some roasted red peppers and tsatziki from the Happy Camel and served it with a a tasty salad. What a great meal! I would make these again in a heartbeat! 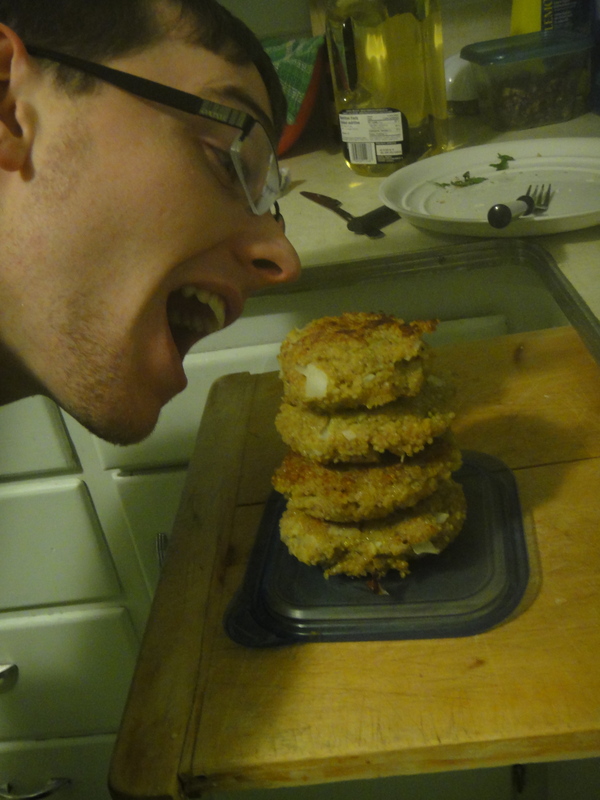 The best part was having a bunch of leftovers to eat throughout the week! Like your recipe. If you would like a nice quinoa salad recipe I can give you one! And If you can go to Costco they have a nice Quinoa. 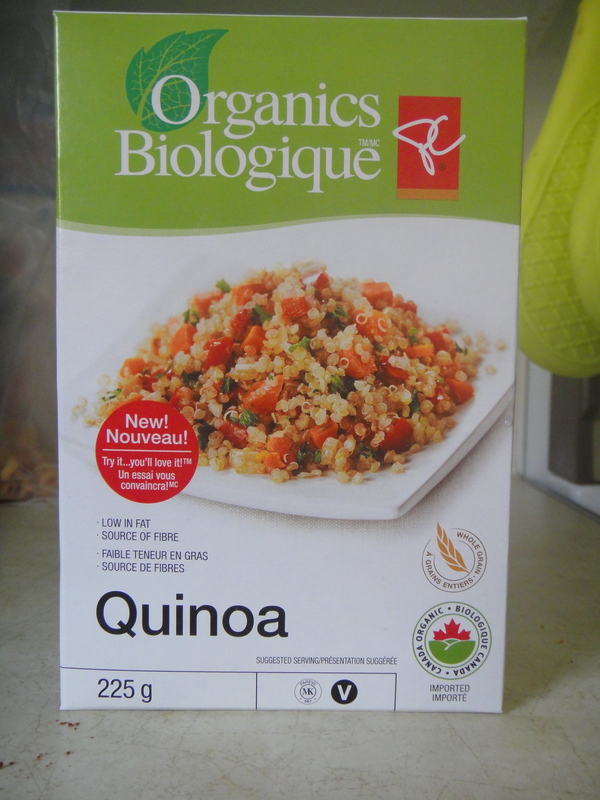 I love quinoa and can’t wait to try this out! 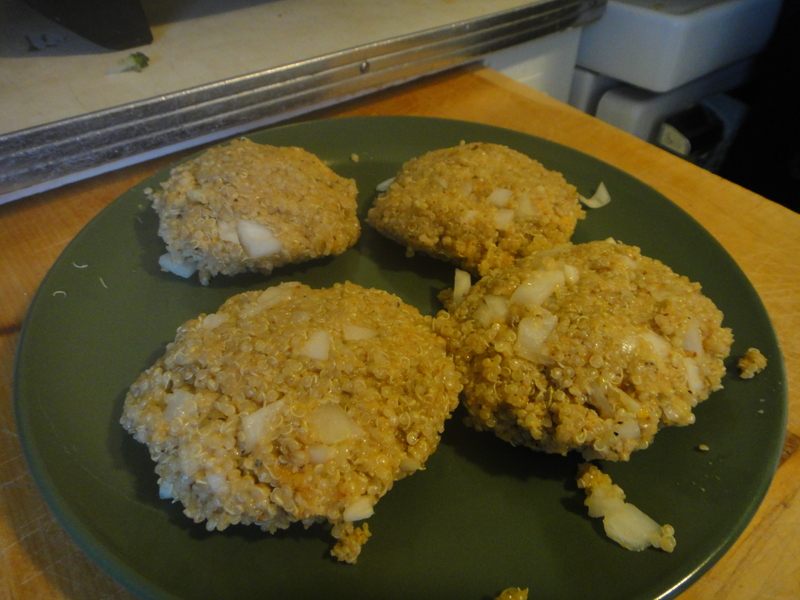 I made these for dinner tonight and they were scrumptious! I had a few tablespoons of light ricotta that needed to be used so it went into the mix. Wow. This recipe is a keeper.